FTTP is a broadband internet telecoms service that uses fibre from the telecom provider's core network to the terminating premises. It is a fast growing way of getting affordable fibre to your business. In this guide we explain what fibre to the premises is, how it is used, who the major UK providers are and how to get the best deal. 2. What Does FTTP Stand For? 3. How Does FTTP Work? 4. What Is The Difference Between FTTC & FTTP? 8. What Is FTTP On Demand? 9. Who Are The FTTP Providers? Fibre To The Cabinet In Association With Which? What Is FTTP - Fibre To The Premises? Fibre to the Premises is a form of new super-fast broadband which utilises optical fibre to deliver the last mile, or local loop to the customer. It is part of the FTTX generation of broadband. What does FTTP stand for? 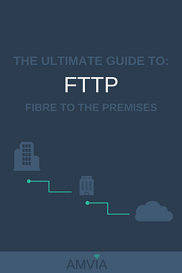 FTTP stands for fibre to the premises. FTTP is different to FTTC as the old fashioned copper telephone wire infrastructure is replaced with fibre. This enables much faster data transmission speeds between the router and the telecoms provider's network. With FTTP your data only moves over fibre optic cables. This doesn't just mean you data is faster today, the speed is futureproofed, meaning you'll get faster and faster speeds as internet technology evolves. 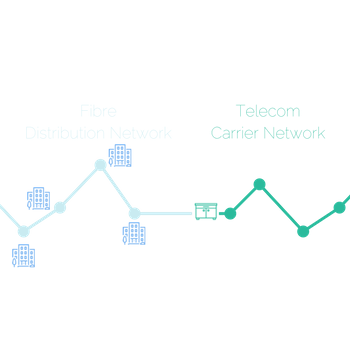 FTTP uses the telecom carrier's fibre network to transport data long haul. So for example lets say you request a Google web search. High speed fibre lines get the data you requested from the Google data centre, across the UK to your local distribution point. This is usually a street level cabinet. 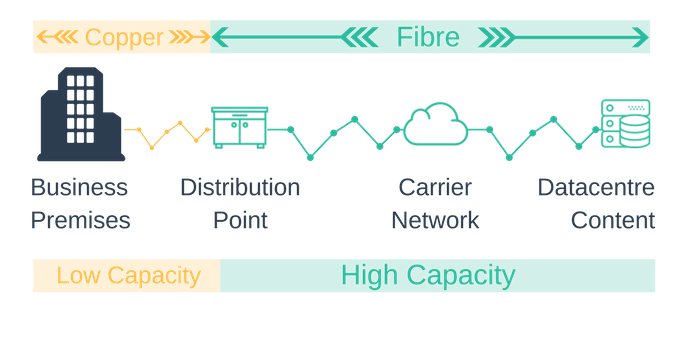 A fibre line then connects the distribution point to your business. The data you requested is transported end to end over fibre to your browser. What Is The Difference Between Broadband, FTTC & FTTP? 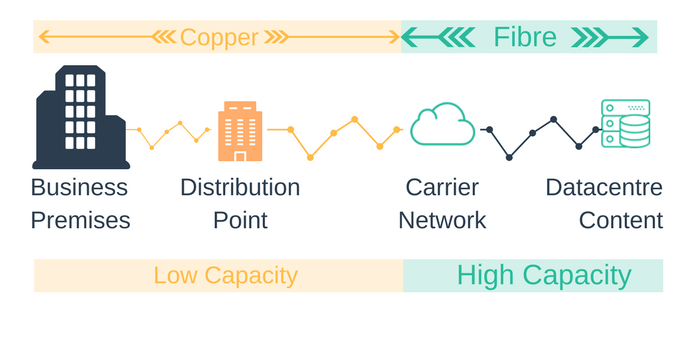 In a DSL, or broadband, network, copper is used to transport data from the edge of the carrier network, all the way to the business premises. The longer the length of the copper line the slower the speed achieved over the DSL service. FTTC was developed to attempt to improve the speed degradation issues associated with using long copper circuits in a DSL service. FTTP is another step forward towards the future of ubiquitous fibre access, and future proof bandwidth speed, for UK businesses. This is why FTTC is known as fibre to the cabinet (the street level cabinet or distribution point). The FTTC product uses high-speed fibre to the cabinet but then uses copper to reach the business. The use of copper in the "last mile" significantly reduces the bandwidth speed that can is achieved over the FTTC service. The data signal degrades over copper, so the longer the copper wire from the cabinet to the business premises, the slower the speed a business will get from the FTTC service. 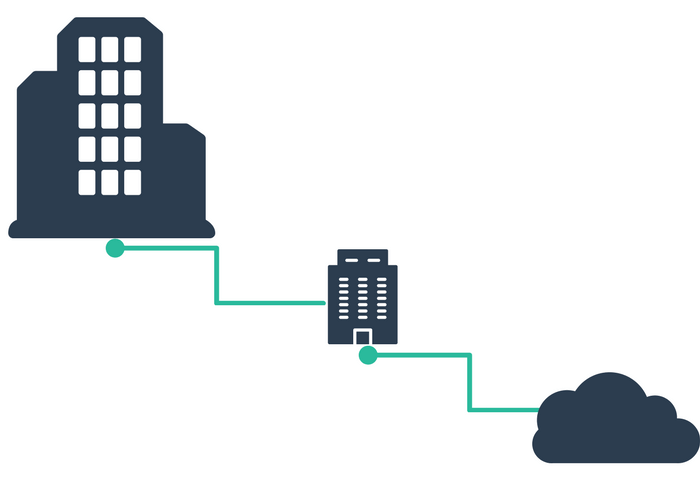 Unlike DSL broadband and FTTC, FTTP connects the last part of the network, between the distribution point and the business premises by fibre. How Can I Check For FTTP Availability? There are 2 ways of checking FTTP availability: the hard way and the easy way! If you have decided you want to get an FTTP service the first decision you need to make is decide which variant you want: up to 40 Mb download / 10 Mbps upload, 80 Mb download / 20 Mbps upload, 150 Mb download / 30 Mbps upload, or 300 Mb download / 50 Mbps upload. Then you need to decide if you want an unlimited transfer service and if you want contended / uncontended. Then you need to research all available providers at your location and get quotes. As one of the leading UK providers of FTTP, Amvia is connected with all networks. We can quickly tell you who is available at your location, we know the prices and the discounts available. We can even give you free advice on choosing the right speed of service suited to your business needs. Just complete the FTTP checker and we'll get you all the information you need. Make finding the right FTTP simple. In just a couple of clicks you can check availability and get a side-by-side comparison of prices at your business location. Fibre To The Premises is available from numerous UK providers. Some providers have greater availability than others. The full roll out of FTTP is still in it's infancy so in general availability is still limited. In December 2016, Openreach, the division of BT that owns and maintains the telephone wires, ducts, cabinets and exchanges that connect nearly all homes and businesses in the UK, announced that Bath, Bradford, Bristol, Liverpool, Manchester, Salford, Westminster, Holborn and the City (London) would be FTTP enabled. These locations, in addition to 300,000 UK businesses already enabled, constitute the first pahase of FTTP roll-out. This roll out was scheduled to be fully completed by the end of 2017. In Novemeber 2017, Mike McTighe, Chairman of Openreach announced that there will be an investment to deliver 10m FTTP ports in the UK by 2025. Although FTTP through Openreach has limited availablility right now, you can expect this to significantly increase between 2018 and 2025. It is expected that by 2020 over 85% of UK businesses will have access to fibre to the premises. 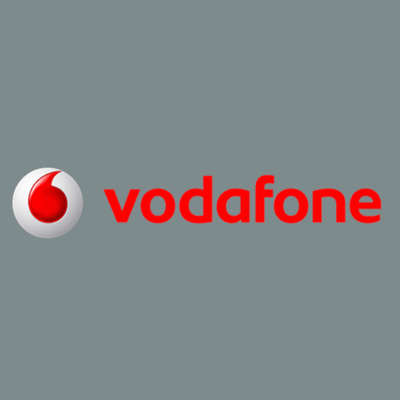 In November 2017 Vodafone announced a strategic partnership with CityFibre to build a UK FTTP network that will serve 5m homes and businesses. The majority of this network is expected to be complete by 2021. 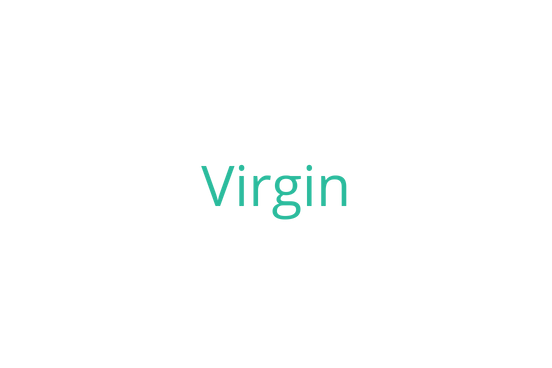 Project Lightning, is the codename for Virgin's national roll out of FTTP. This project is expanding Virgin's fibre network to enable it to reach 17 million premises across the UK. It is expected that this will be fully completed by the end of 2019 and will give Virgin coverage to 65% of all UK homes and businesses. 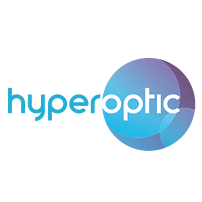 Hyperoptic announced in 2017 that it had secured £100m to develop it's UK FTTP network. Hyperoptic currently has a footprint that can serve 350,000 UK homes and businesses in 28 towns and cities. By 2022 Hyperoptic aims to have increased this reach to 2 million homes and businesses. BT, Virgin, Vodafone and Hyperoptic aren't the only FTTP providers in the UK. There are a number of regional FTTP network prodivers. If you are located in Berkshire, Buckinghamshire, Cambridgeshire, Essex, Hertfordshire, Gloucestershire, Kent, Leicestershire, Lincolnshire, Northamptonshire, Oxfordshire, Rutland or Worcestershire, Gigaclear has fibre to the premises networks in these areas. BT aren't yet selling FTTP directly through their website, they are selling it behind the scenes though. You can't buy FTTP directly from BT's website. If you visit BT's website you won't currently see the ability to buy FTTP. 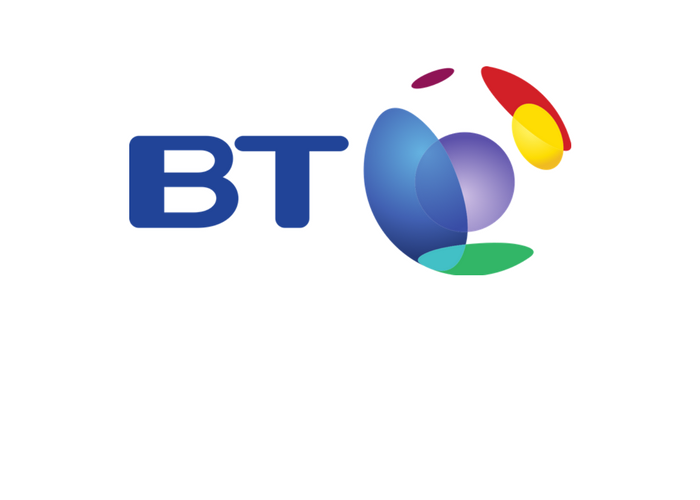 We have heard that the BT retail team are selling FTTP in some circumstances if you specifically ask for it. BT Wholesale are providing FTTP to wholesale partners such as Zen and Amvia. If you want to check for FTTP a wholesaler can do this and order it through BT Wholesale. FTTP installation charges are the main factor holding back adoption. The local fibre infrastructure required to deliver FTTP and bypass the copper network is still in it's intfantcy. Amvia has delivered some FTTP services with very low or in some instances free set-up charges. Ufortunately this isn't the norm and often charges in excess of £5000 are quoted. As FTTP is adopted these charges will fall. FTTP On Demand is a mechanism which allows you to place an order with your ISP for Generic Ethernet Access over Fibre To The Premises. You can now order fibre to your business and get up to 1Gbps of speed using ethernet technology combined with FTTP technology. You can leverage the cost effective elements of FTTP, and the speed benefits of ethernet. An ideal alternative to a leased line. You need to speak to a BT Wholesale customer, such as Amvia. We will place an FTTP on Demand order with BT Openreach. BT Openreach will then plan and build the infrastructure required to deliver the FTTP to your business. Sounds interesting how much will the FTTP on Demand installation cost be? If you are in an area that is FTTC enabled this is a good option. 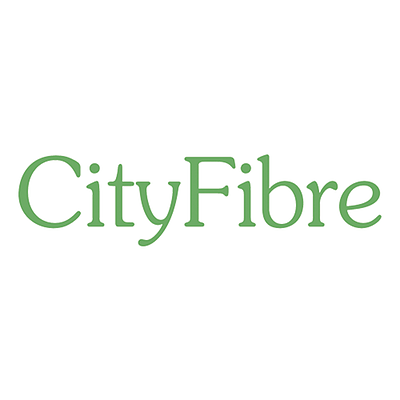 Fibre has been installed to your local cabinet so the work to continue the fibre to your business premises can be cost effective. The only way to find out how much the installation fee will be is to place an order for FTTP on Demand with Amvia and get a formal quote from BT Openreach. In the table below all UK FTTP providers have been listed along with the download and upload speed they offer, set up fees, monthly fees, any usage limitations, whether a router is included and the minimum contract length. BT, Zen, IDNet and ICUK all use Openreach for the delivery of their FTTP services, so will cover the same area for FTTP availability. The other listed providers have their own network or use an alternative partner network to BT Openreach. 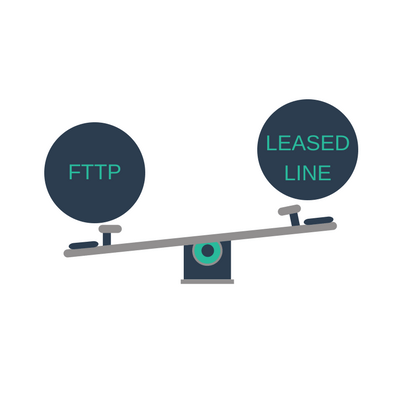 What's the difference FTTP vs Leased Line? What Is The Cost Difference Between FTTP and a Leased Line? Fibre broadband costs considerably less than a leased line. A 100 meg leased line costs in the region of £300-500/month. Comparitively a 100 Meg FTTP service costs in the region of £50/month. 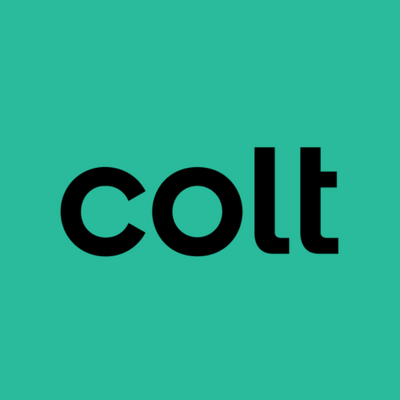 The cost of FTTP is 6-7 times less than a leased line. What Is The Speed Difference Between FTTP and a Leased Line? Fibre broadband speeds have increased significantly and whilst B4RN offer up to 1Gbps the speed limitation of fibre broadband is still there when compared to a leased line. Most FTTP providers offer 100 Meg - 330 Meg max download speeds. A leased line offers complete flexibility and if required access speeds of greater than 10 Gbps. Is FTTP Asymmetric and a Leased Line Symmetric? No. 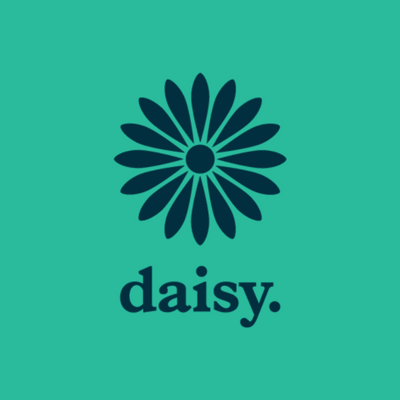 Traditionally broadband services have been asymettric, meaning the upload speed is less than the download speed. This still holds true for BT Openreaach FTTP, so Zen for example offer 220Mbps download and 20Mbps upload. The FTTP providers that don't use Openreach and have developed their own networks are now offering symettrical services. 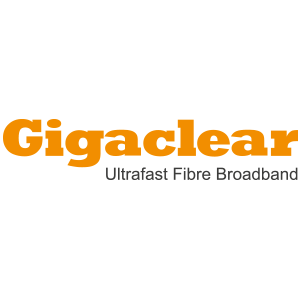 For example Gigaclear offer 100Mbps upload and 100Mbps download on their FTTP services. Why Is There Such A Large Cost Difference Between FTTP and a Leased Line? Leased lines and FTTP are provided over fibre, both services are high speed, both services are business products but there is a fundamental difference: a Leased line is a dedicated data connection to your business which you lease on a monthly rental basis, whereas FTTP is a shared bandwidth service. Fibre broadband such as FTTP, is shared with other businesses. Sharing means you may experience a decrease in performance when the shared network is busy. A Leased line is not shared, rather it is exclusively dedicated to your business and the speed of the service is guaranteed 100% of the time. In December 2016 Ofcom made a significant announcement about the future of fibre communications in the UK. Ofcom plans to make it quicker and easier for rival providers to build their own fibre networks direct to homes and offices using BT’s existing telegraph poles and ‘ducts’ – the small, underground tunnels that carry telecoms cables. This would give BT’s competitors the flexibility to innovate as technology evolves, and respond to changes in their customers’ needs. This is really important as BT has had the monopoly on last mile access to the business premises. In order for FTTP to happen in a commercially viable way BT's competitors need to be able to access the ducts and telegraph poles to deliver end-to-end fibre optic circuits. It's really important for the developmental success of FTTP that OFCOM, as the regulator, recognise the benefits of competition. There is the commercial appetite to build FTTP networks, Virgin, Vodafone, Hyperoptic etc are demonstrating this. The support of OFCOM will accelerate the build out of these networks, increase competition and greatly assist in developing fibre to the premises in the UK. Ofcom is keen to ensure that all providers can lay fibre in BT’s ducts as easily as BT itself. So Ofcom is proposing improvements to the process so that rivals are not disadvantaged when using BT’s infrastructure to deploy ultrafast broadband services. 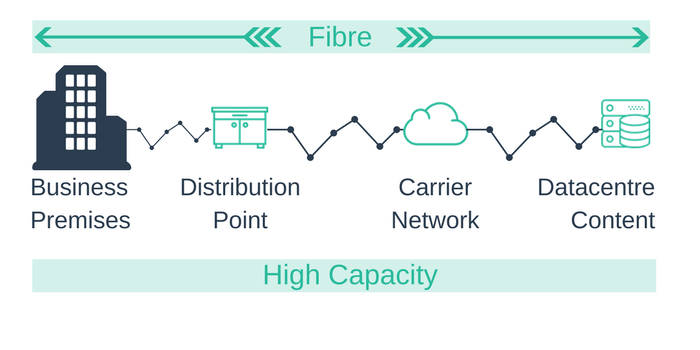 Certaintly for the competitors building FTTP networks is critical to the planning and investment into long-term assets such as fibre delivery networks. BT clearly has an interest in not opening up it's infrastructure as it creates competition. By opening up the ducts, and providing certaintly around access of the ducts, businesses will see better prices, better service and wider availability of FTTP. Where a competitor relies on Openreach to carry out engineering work, it should know when this will be completed. 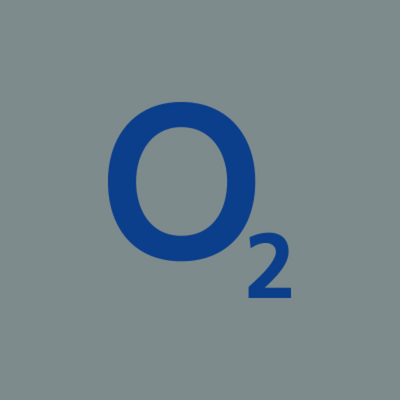 Ofcom is considering a requirement for service-level agreements and guarantees. Alternatively, allowing competitors to undertake the engineering work themselves could provide them with greater certainty and reduce timescales and costs. Being able to access ducts to install or repair fibre in a timely manner is critical to the operation of a fibre network. Competitors need to be able to maintain their network over a shared infrastructure quickly, efficiently and on a level playing field with BT. SLAs and service guarantees are essential for the successful operation of competitor networks, as well as for upholding the high standards businesses will require for their internet access over these networks. For around half of UK homes, the final connection between the customer’s home and the network is a ‘drop wire’ from a nearby telegraph pole. (The other half of homes are connected by an underground cable.) Companies wishing to connect fibre directly to premises can face problems such as space and load constraints on BT’s poles, which often take time and money to resolve. In contrast, these issues do not affect BT to the same extent – for example, BT can connect a premises simply by replacing its existing copper drop wire with fibre. So Ofcom is consulting on whether to require Openreach to upgrade its drop wires with fibre at the request of any telecoms provider who is offering full-fibre broadband to a customer. Openreach could then charge the provider for using the drop wire. This might sound pretty irrelevant, but being able to access the last mile efficiently for competitors is probably the most important commercial factor in building out an FTTP network. The reason is that the capital cost of constructing the last mile to homes and busisnesses is huge and very prohibitive. 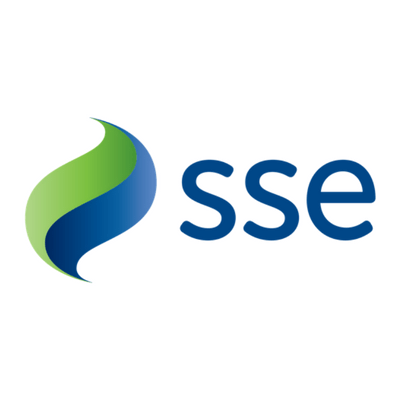 The costs associated with "digging up the road" to the premises are probably the biggest barrier to entry for any competing fibre network operator in the UK. Being able to access homes and businesses via the drop wire is a huge and critical step forward in opening up competition for a full fibre network in the UK. Ofcom also wants to see Openreach provide comprehensive data on the nature and location of its ducts and poles. This new ‘digital map’ of the UK will allow competing operators to plan and deploy advanced networks. 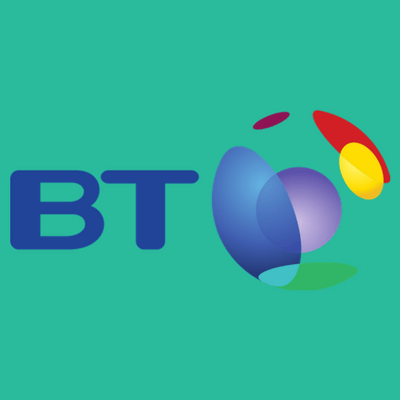 BT is now developing an online database, showing the location and capacity of ducts and poles, and intends to make it available to telecoms providers by summer next year. Ofcom expects that the detailed network records will be provided in an appropriate format to BT’s rivals. Knowing where you need to build your network and where you can utilise duct or drop wires is essential network planning data. BT will have to tell competing networks where their infrastructure is located, where the fibre duct runs, where access points are. 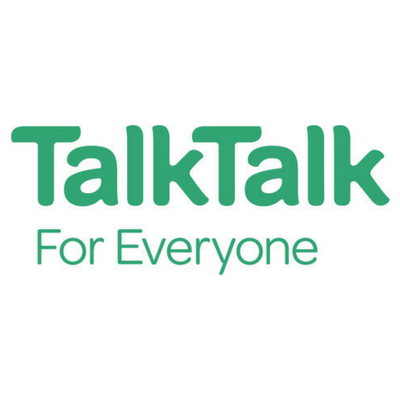 Great news again for the introduction of competition into the UK telecoms market.